After pouring hours and hours into tending your garden, don't let bug pests undo your hard work. A wide variety of bugs are attracted to your plants, whether you raise vegetables or ornamentals. Whatever you grow, turn to one or more of the many budget-friendly bug-control options at your disposal. 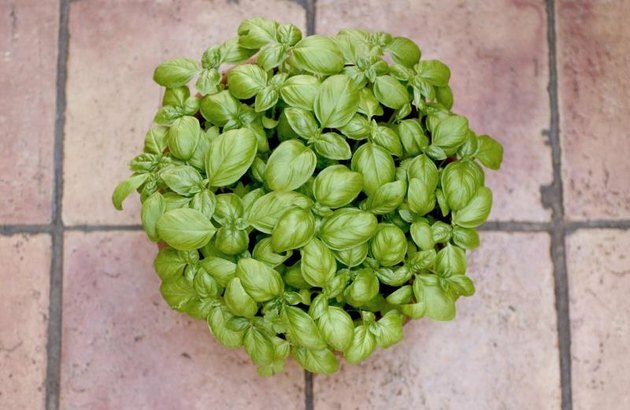 A basil plant repels pests because of its pungent odor. Basil (Ocimum basilicum), an annual herb that repels flies, mosquitoes and hornworms. Chives (Allium schoenoprasum), an herb that deters aphids and mites as well as nematodes. It grows as a perennial plant in U.S. Department of Agriculture plant hardiness zones 4 through 8. 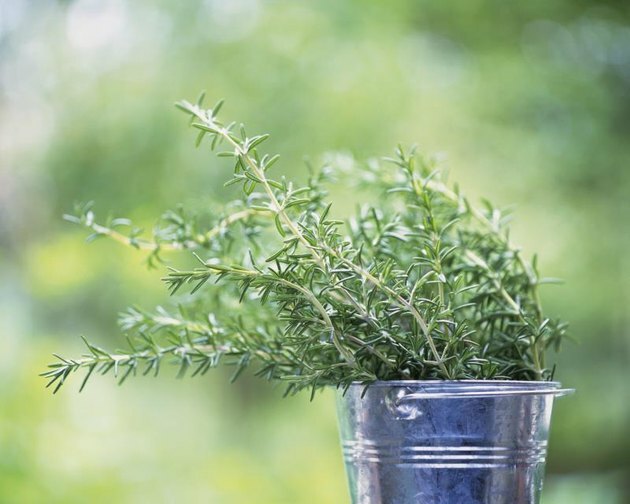 Rosemary (Rosmarinus officinalis), a perennial in USDA zones 8 through 10. Pests it repels include cabbage moths, carrot flies and Mexican bean beetles. Parasitic wasps, attracted by rosemary, defend a garden. Parasitic wasps attack and kill a wide range of common pests, including aphids, whiteflies and caterpillars. When present in the landscape, the wasps often keep problematic bug populations at levels too low to cause lasting damage to plants. Wasp-attracting plants include. Marigold (Calendula officinalis), an annual flowering plant. Cowpea (Vigna unguiculata), an annual legume plant. English lavender (Lavandula angustifolia), an evergreen herb that is perennial USDA zones 5 through 11. 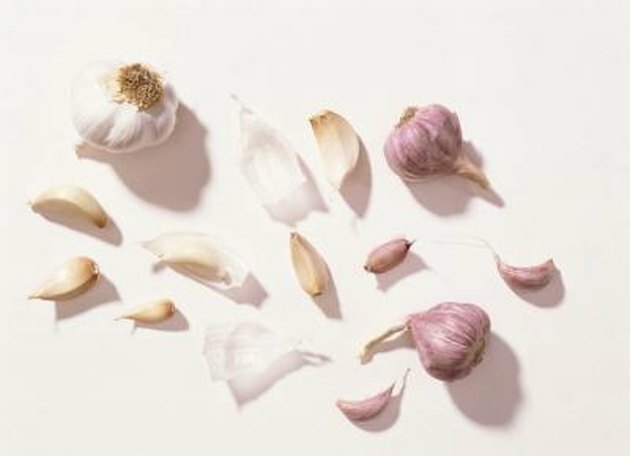 Garlic works well as an insecticide. Odorous essential oils repel future bug infestations while soap kills bugs currently on plants. Use a homemade insecticide that contains both: Blend a garlic bulb, 1 teaspoon of cayenne pepper powder and an onion bulb in a food processor. Add 1 quart of water and 1 tablespoon of liquid dish soap. Allow the chunky solution to soak overnight, and then strain its liquid portion through a cheesecloth or a strainer and into a spray bottle. Mist the liquid solution on your plants. The basic act of spraying off plants can eliminate many pests. 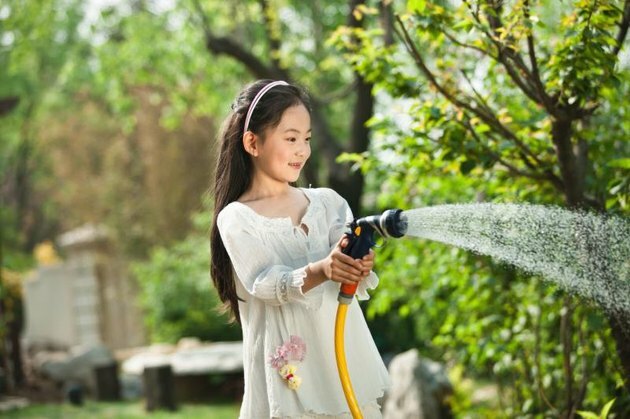 The next time you water your garden, use the power of a garden hose. 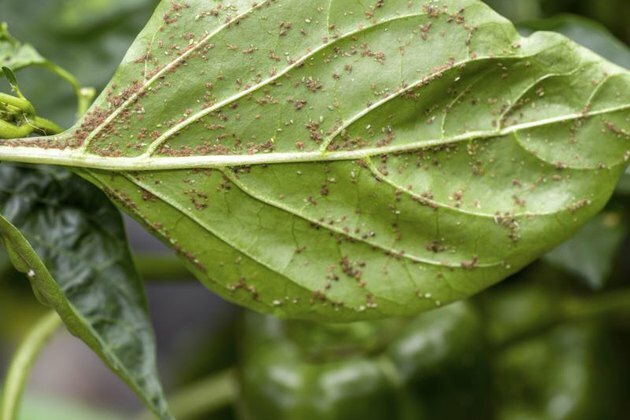 Aphids and other common pests are susceptible to a strong blast of water from a hose. Simply spray your plants with water every morning. Bugs that water knocks off plants often die or can't return to the plants. Aphids and other soft-bodied pests are susceptible to diatomaceous earth. Dust the powder on plant stems and foliage. Create a circular ring of diatomaceous earth around the base of each plant. Pour diatomaceous earth directly onto bug activity, such as on an anthill. 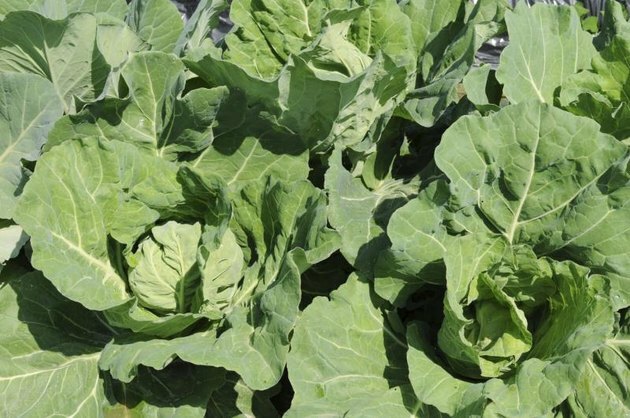 Protect cabbage by growing other plants that attract the same pests. If you can't fight them, join them. Instead of spending your time trying to keep bugs off specific plants, grow different plants that those bugs eat. Place these plants on the outskirts of your garden as a protective border. Bugs will encounter these plants first and focus their attention on them instead of coming farther into your garden and attacking the plants you're trying to protect. Some gardeners grow a border of annual collard greens (Brassica oleracea var. acephala) around annual cabbage (Brassica oleracea var. capitata). Bugs congregate on the collard greens and leave the cabbage crop alone. The key is selecting a distracting plant that draws the same bugs that you're trying to keep out of your garden's inner portion. For additional information on garden pest-control, see "." Is White Vinegar a Good Bug Repellent?